The Hawkeyes took down Utah State but could not overcome Montana. unable to find the net in a game. 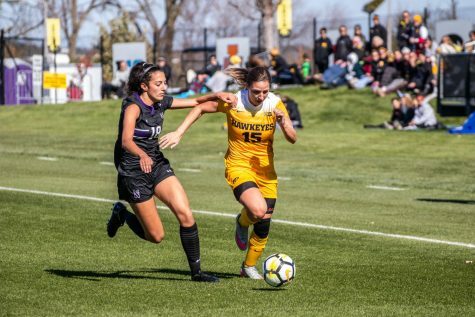 Sunday’s 1-0 shutout at the hands of Montana handed the Hawkeyes their first loss of the season. 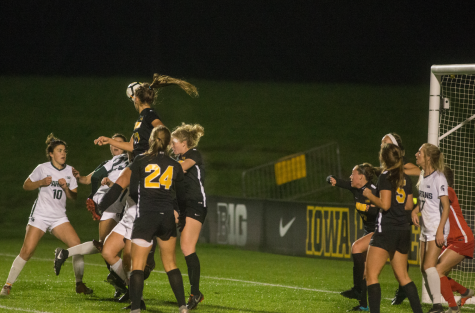 Iowa warded off the Grizzlies until the 72nd minute, when senior goalkeeper Hannah Clark was unable to save McKenzie Warren’s shot. The Hawkeyes had plenty of opportunities, and they outshot the Grizzlies 19-10, but they could not convert. Senior Brooke Backes, junior Bri Toelle, red-shirt freshman Jenna Kentgen, junior Tory Harman, and freshman Hannah Kousheh all had numerous shots in the game. With the loss, the Hawkeyes fell to 4-1. However, the weekend was not a complete misstep. Iowa’s first road trip of the season started out with a win. 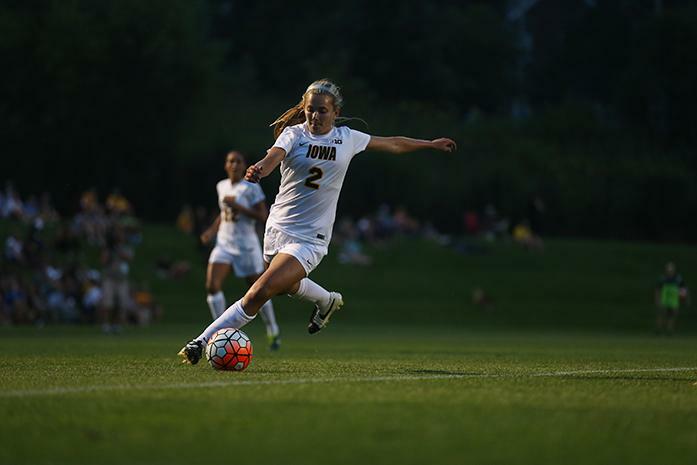 The Hawkeyes took down Utah State 2-1 on Sept. 4, improving their record at the time to 4-0. 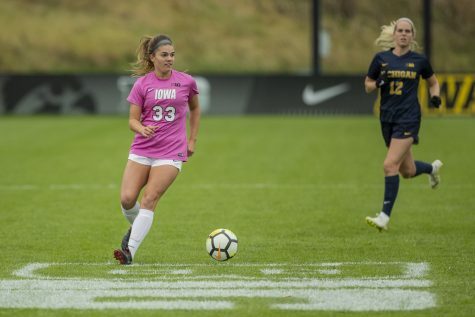 Backes scored her first goal of the season and the game-winner in the 62nd minute, just over a minute after Toelle made Iowa’s first goal of the game on a penalty kick. Toelle also assisted on Backes’ goal. 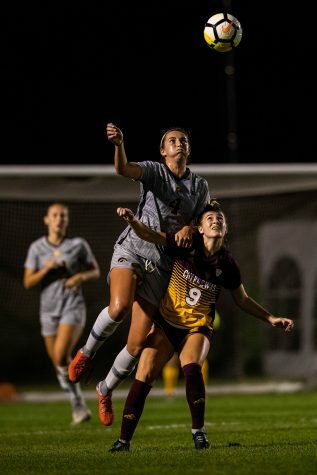 The two goals came in the second half, after Iowa had trailed the Aggies for almost the entire first half and then some. 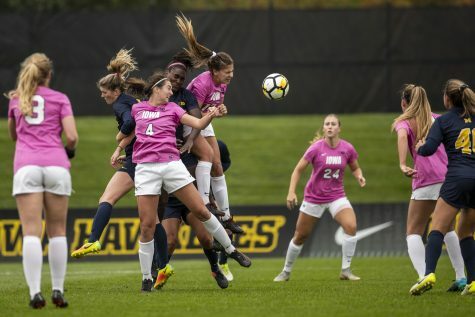 In a release, head coach Dave DiIanni said the game was “a great character-building win” and that it was a good example of finding a way to be successful after being down. 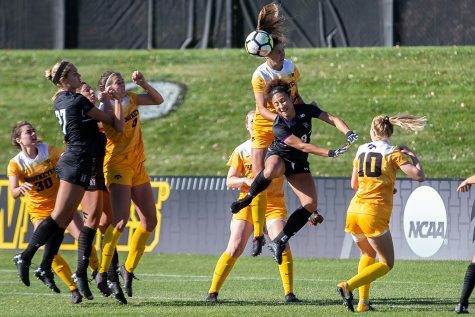 Utah State had chances to come back late in the second half with a corner kick in the 87th minute, but the Hawkeyes were able to hold out to keep the Aggies scoreless in the second half. After splitting the games over the weekend, Iowa dropped to fourth in the Big Ten. Rutgers and Ohio State are the only two teams left without a loss, with records of 6-0-0 and 4-0-1, respectively. Illinois is also ahead of the Hawkeyes, boasting five wins and only one loss. 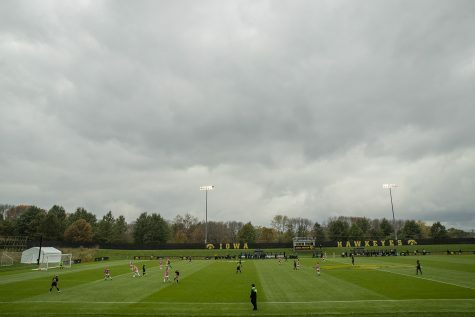 Iowa’s next game will take place on Friday at home against Iowa State. 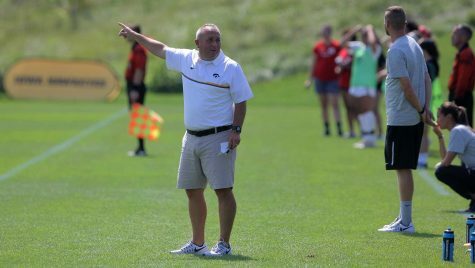 Follow @Cbomb12 on Twitter for news, updates, and analysis on the Iowa soccer team.